Superhydrophobic surfaces are surfaces that not only don’t get wet, but they actually repel water. This is the so-called lotus effect, named after the superhydrophobic leaves of the lotus plant (as usually, nature’s been doing long before we have). 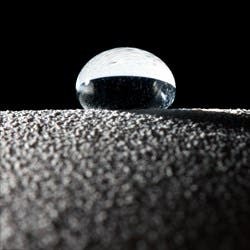 We’ve written time and time again about the amazing achievements in the field of superhydrophobics – and this is no exception. 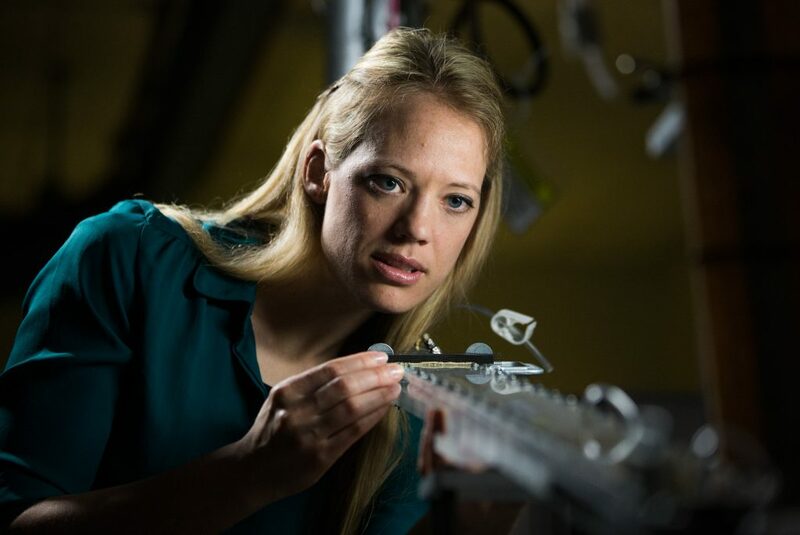 In a basement lab on Bringham Young University’s campus (BYU), mechanical engineering professor Julie Crockett analyzes water as it bounces off and rolls like a ball. This happens because Crockett and her colleague Dan Maynes created a superhydrophobic sloped channel that repels the water. While some research with such surfaces has already reached the shelves with substances that keep your shoes or clothes dry, the two professors want to provide large-scale solutions for society. The materials exhibit this effect because their surfaces are riddled with micro posts or with ribs and cavities one tenth the size of a human hair. 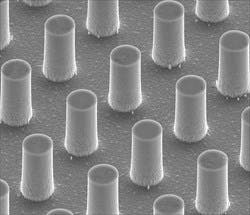 In order to develop these surfaces, researchers used a process similar to photo film development that etches patterns onto CD-sized wafers. They then coated them in a water-resistant film, like Teflon, but that’s just the start of it: in order to improve the materials, they then study the interactions between the water and the surface with high-speed cameras. – solar panels that don’t get dirty or clean themselves when water rolls of them. Or why not – even windows. – hulls of ships and submarines – coating them in superhydrophobic surfaces would cause less drag, increasing the speed and reducing fuel consumption. – airplanes wings, helping them better resist in cold and humid conditions. – showers, tubs, toilets – all could be easier to clean. – biomedical devices, such as syringes that deliver fluids to patients. However, while there’s a myriad of potential applications, their research focuses on cleaner and more efficient energy generation – especially conventional power plants. Most power plants in the world generate energy by burning coal or natural gas, generating gas that rotates a turbine; once that has happened, the steam needs to be condensed to liquid so it can restart the same cycle all over again. If condensers in power plants would be coated in hydrophobic surfaces, the process could be greatly sped up – increasing generating energy faster and more efficiently.